Recruiting and retaining participants for any study can be challenging. 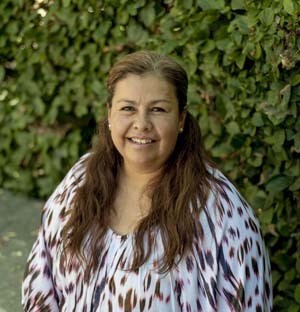 Martha Meza, Executive Assistant to Special Projects at PHFE WIC, spoke with us about her experience in data collection for a study taking place in California. The study, titled Online Nutrition Education: WIC in the 21st Century evaluates the impact of online nutrition education vs. in person nutrition education. The research is a collaboration between UC Berkeley and Public Health Foundation Enterprises (PHFE) WIC. Martha collected data from WIC participants in the form of telephone interviews in both English and Spanish. The return rate for participant engagement was around 98%. We had the pleasure of speaking with Martha about her approach to this type of data collection and her techniques to getting such impressive return rates. It is clear that Martha is a huge WIC enthusiast. With over 20 years of experience working for the program in different capacities, Martha has seen how the program has developed and understands the crucial role that research plays in shaping the experience of WIC participants. Martha’s positivity is infectious, and it’s clear to see that her success is in part due to the fact that she loves talking to people, and people love talking to her. Although she collects specific details defined by the scope of the study, she does so in a way that comes across to the participant as less about fulfilling a task and more about connecting on a human level and being helpful. Martha’s experience in WIC means she appreciates the various realities that often make it challenging for participants to engage with a research study and described the occasional need to get creative, when it is proving challenging to initiate or sustain participation. By being creative, Martha nails the balance of persistence with support to meet her research objectives and help participants to have a valuable experience. Good qualitative researchers are trusted by their interviewees. They communicate respectfully and understand where their interviewees are coming from. After speaking with Martha, it is no surprise that she is a successful telephone interviewer. From Martha’s interview, it is evident that having the combination of WIC clinic experience and an understanding of research processes and needs makes for a successful qualitative researcher in the field of WIC research. This is a link to the research project Martha is contributing toward. The data collected by Martha is currently being analyzed and a final report is anticipated by the end of 2015. If you hear of a new research project or opportunity or if you’re having an article or report published and would like us to highlight it, please email gmachell@nwica.org or Tweet @NatWICAssoc using the hashtag #WICResearch.